Vitamins are obtained from the different types of foods that we consume. If a diet is lacking a certain type of nutrient, a vitamin deficiency may occur. The traditional diet in Pohnpei (an island in the Federal States of Micronesia) consisted of a diet rich in local tropical produce such as bananas, papaya, mango, pineapple, coconut as well as seafood. However, due to a shift in dietary patterns from fresh foods to processed and refined foods the island is suffering from a magnitude of health concerns. A study conducted by the Department of Health of the Federated States of Micronesia on children aged two to four years old in Pohnpei showed that the prevalence for vitamin A deficiency among children aged 2-5 was 53 percent. To combat this issue the Island Food Community of Pohnpei has been instrumental in promoting the citizens of Pohnpei to increase local karat banana consumption. 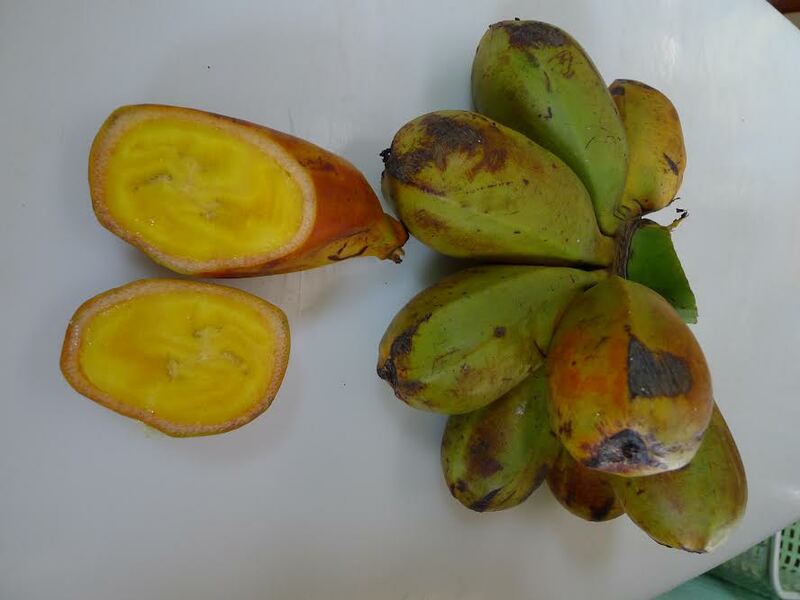 The karat banana is rich in beta-carotene (a source of vitamin A) and increasing consumption among the locals will decrease the prevalence of vitamin A deficiencies in Pohnpei. For further information on this issue visit the Island Food Community of Pohnpei’s website at http://www.islandfood.org/ and watch the video at https://www.youtube.com/watch?v=DGVxnefqbTQ. Vitamins are organic compounds that are traditionally assigned to two groups fat-soluble (hydrophobic) or water-soluble (hydrophilic). This classification determines where they act in the body. Water-soluble vitamins act in the cytosol of cells or in extracellular fluids such as blood; fat-soluble vitamins are largely responsible for protecting cell membranes from free radical damage. The body can synthesize some vitamins, but others must be obtained from the diet. One major difference between fat-soluble vitamins and water-soluble vitamins is the way they are absorbed in the body. Vitamins are absorbed primarily in the small intestine and their bioavailability is dependent on the food composition of the diet. Fat-soluble vitamins are absorbed along with dietary fat. Therefore, if a meal is very low in fat, the absorption of the fat-soluble vitamins will be impaired. 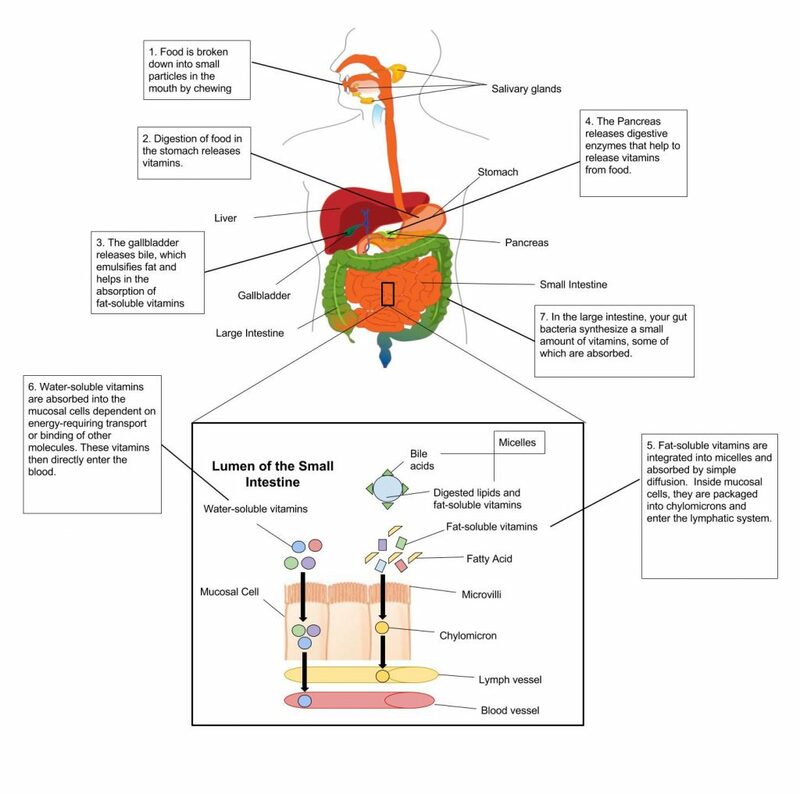 Once fat-soluble vitamins have been absorbed in the small intestine, they are packaged and incorporated into chylomicrons along with other fatty acids and transported in the lymphatic system to the liver. Water-soluble vitamins on the other hand are absorbed in the small intestine but are transported to the liver through blood vessels. 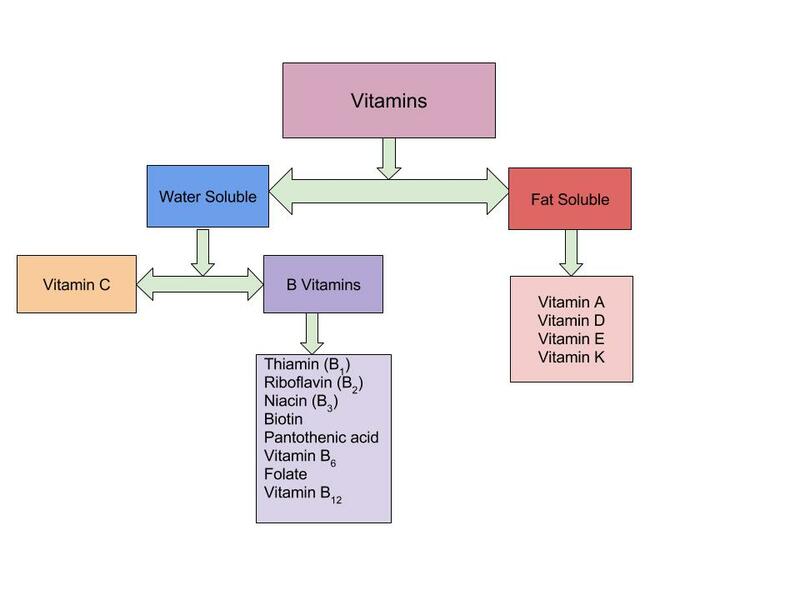 (Figure 9.2 “Absorption of Fat-Soluble and Water-Soluble Vitamins”).